NBA FIT is the league’s comprehensive health and wellness platform that encourages physical and mental wellbeing for fans of all ages. 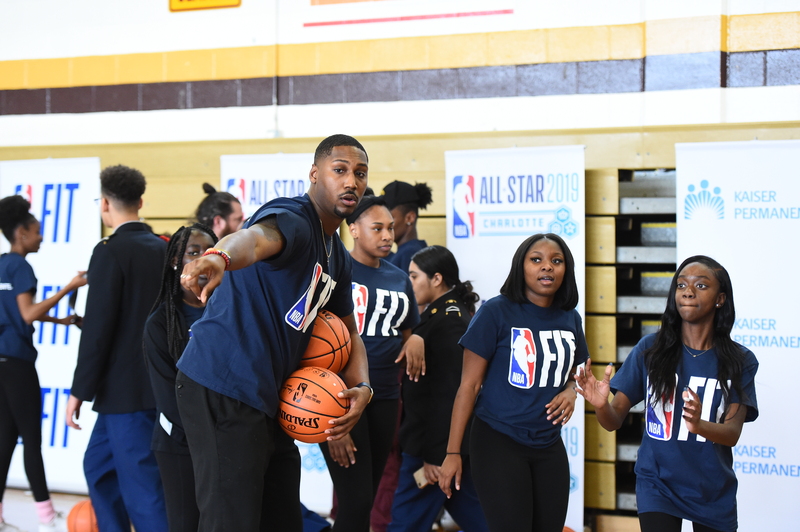 NBA FIT Week engages players, partners and community organizations to highlight the importance of leading a healthy life through mind, body, and spirit. In partnership with community experts, the NBA Coaches Association, the NBA Strength and Conditioning Coaches Association, and the NBA Physicians Association, NBA FIT provides diverse health and fitness information to children and their families through social media and interactive online content. Since the beginning of the 2014-15 NBA Season, Kaiser Permanente has served as the league’s official health care partner. As an official partner of NBA FIT, Kaiser Permanente provides health and wellness consulting with a focus on joint research initiatives, digital content, and year-round grassroots programs that aim to create safe spaces and build healthier communities.